After the course of a long winter, and after seven months of living in a hole in a cottonwood tree about 16 feet above the forest floor, this mother bear is finally ready to emerge from hibernation. During her hibernation period, she birthed a litter of two cubs. The winter’s den - unusually, located up a tree - kept the little ones safe from attacks from predators, including other bears, but now is the time for them to begin to stretch their legs, get some fresh air, and bulk up in the preparation of the next winter. 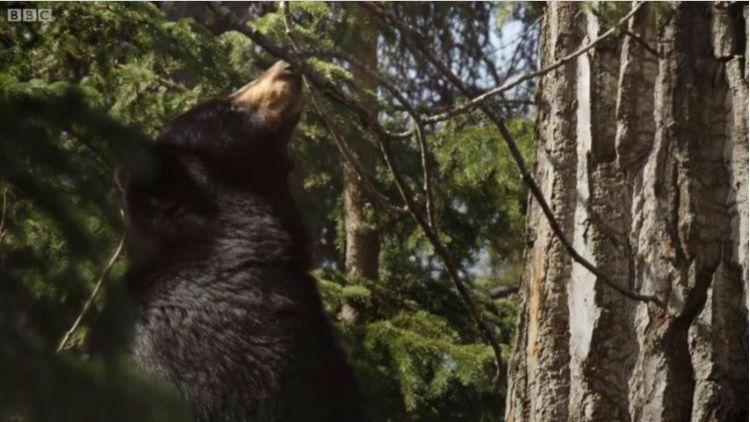 In this breathtaking video from Wild Alaska – BBC, we see the mother bear patiently waiting for her young ones to find their way down the tall tree for the first time. The two 12-week-old siblings sit high atop the branches and seem to be a bit distressed about the predicament of being separated from their mother. They are indeed in a delicate situation because weighing just 6-9 pounds each a fall from such a height could be fatal to the little fledgling cubs. 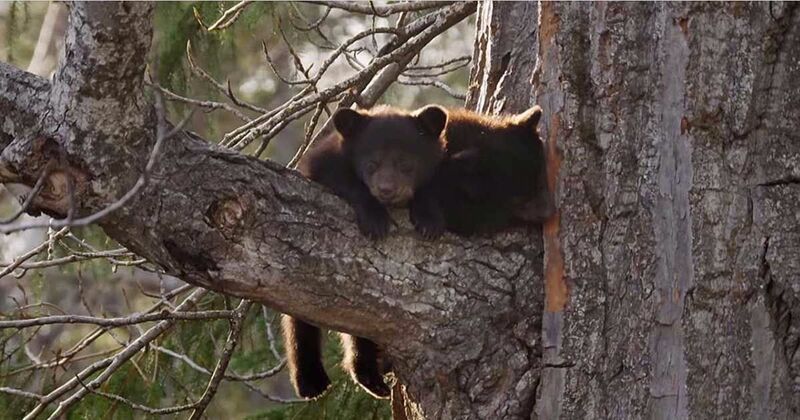 The first brave sibling takes a few steps to get his bearings and quickly adapts to the art of climbing, thanks to his strong claws and the black bear’s natural climbing instinct. He is soon reunited with his mother. The second cub seems to be in a bit of a quandary, unsure how to proceed. He calls for his mother and finally makes a few skittish moves which quickly prove he lacks the agility of his sibling. Finally, the mother bear makes her way up the tree, balancing precariously on a branch that barely looks equal to the task. She gently gives her baby nudges of encouragement that both brace him and embolden him to make his way down the tree. Take a look at this charming video below, and SHARE if you are a fan of protective mother bears.